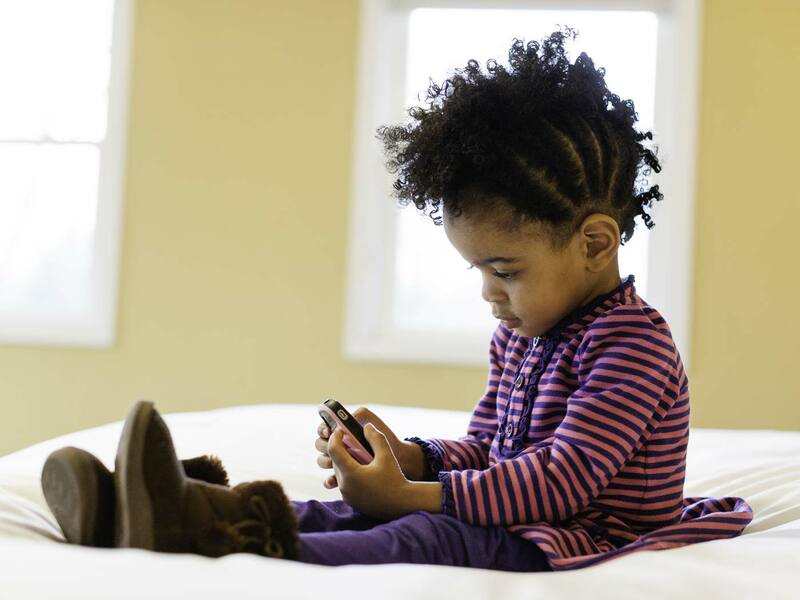 A young child playing with her mom's cell phone. Portrait Photography. Commercial Lifestyle Advertising Photography. Children lifestyle photography.